Rudy Kurniawan had ascended to the upper reaches of the wine world on both coasts, renowned as much for his palate as for his eye, fixed often on the highest of high-end bottles. His presence at auctions was constant, at events in Beverly Hills, and offerings at Sotheby’s in New York. His interest by itself was enough to drive prices at the top of the market. And as his collection brought in millions, Mr. Kurniawan made a show of his own authenticity, offering major buyers an unconditional return policy — exceedingly rare in the industry — while attracting a clientele that included the billionaire William I. Koch. But on Thursday, in the culmination of persistent rumblings about the veracity of his products, Mr. Kurniawan was arrested in Los Angeles by the Federal Bureau of Investigation on charges that he had tried to sell counterfeit wine that, if genuine, would have been worth $1.3 million. Mr. Kurniawan, who sold $35 million worth of wine in 2006 alone, was taken into custody in Los Angeles on mail and wire fraud charges filed in federal court in New York, according to court papers. Prosecutors from the office of the United States attorney in Manhattan said they expected him to be transferred to New York in the coming days. The criminal complaint in the case said that in 2008, Mr. Kurniawan consigned for auction at least 84 bottles of counterfeit wine purporting to be from Domaine Ponsot in Burgundy, France, which were expected to sell for approximately $600,000. 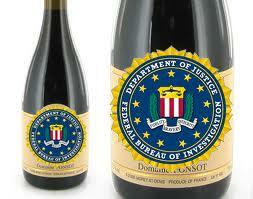 Although he represented the wine as authentic, it was not, prosecutors said.